"Thank you so much for your beautiful painting of the 'Sandhill & Youngster II.' It looks wonderful in our living room overlooking the pond. We really appreciate your work. Best wishes, Tom & Sheri"
​"We are honored to have your painting. 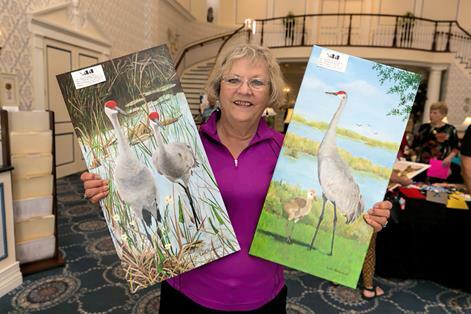 We were the lucky ones to purchase your blue-ribbon acrylic painting of the two sandhill cranes you dubbed 'The Redheads.' Thank you for this very grand picture. We have and will enjoy the painting forever. Will look up your website often. Congratulations. Sincerely, Sharon"
Click here for the Daily Sun article with photo of The Redheads. Sheri and Tom bought Leda's painting, Egret Fun, at Arts Round the Square (ARTS) on February 17, 2013. 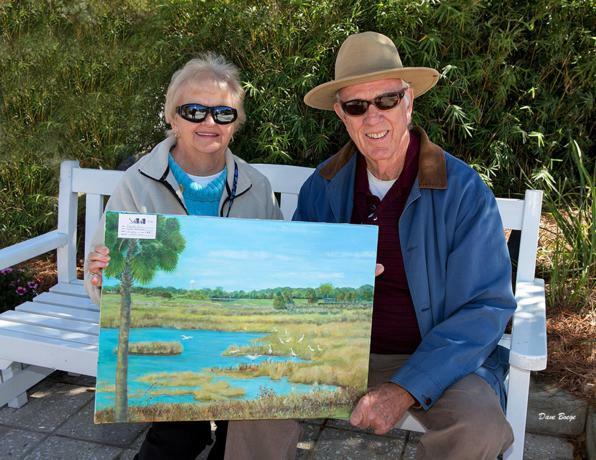 The painting features the bogs of Lake Sumter in autumn as white egrets darted from one spot to another. Sheri writes, "We have had your picture framed and it looks wonderful hanging in our foyer. Many of our friends have commented on it." The real Tessie beside her painting. 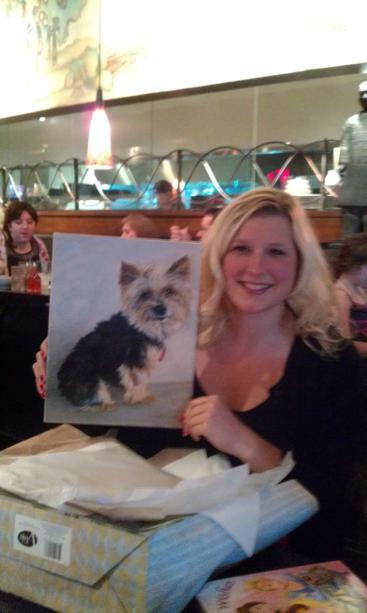 Christie, Megan's mother, emailed, "Here is a picture of Megan with the gift of the painting of little Tessie dog. 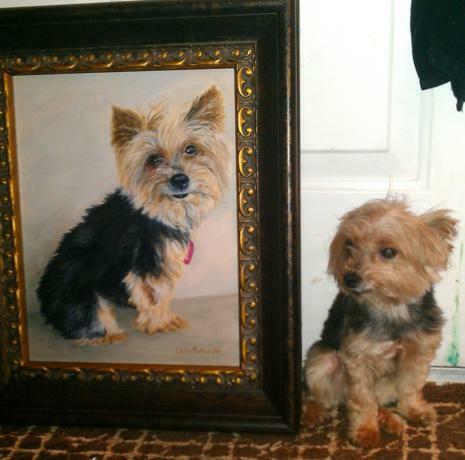 The painting was such a good likeness of Tessie! Everyone commented and complimented. We gave Megan the painting as a surprise for her birthday. Megan LOVED the painting and was surprised ... she choked up. Megan posted this photograph of herself with the painting on her Facebook account and got 50 'likes' within the first 5 hours!"